Is Raspberry Ketone Truly Effective For Hair Growth? Raspberry ketone is primarily obtained from red raspberries (Rubus idaeus) and also found in other similar fruits like strawberries, cranberries, blackberries, kiwi, etc. in small amounts. This is what gives red raspberries their unique strong aroma and flavor. The chemical compound is also called Rasketone, p-Hydroxybenzyl acetone, Oxyphenylon, 4-(p-Hydroxyphenyl)-2-butanone, Rheosmin, and Frambinone. Raspberry ketone, which has been stirring up the health industry for quite some time now for its potential weight loss properties, is quite similar to the most active component of chili peppers i.e. ‘capsaicin’. 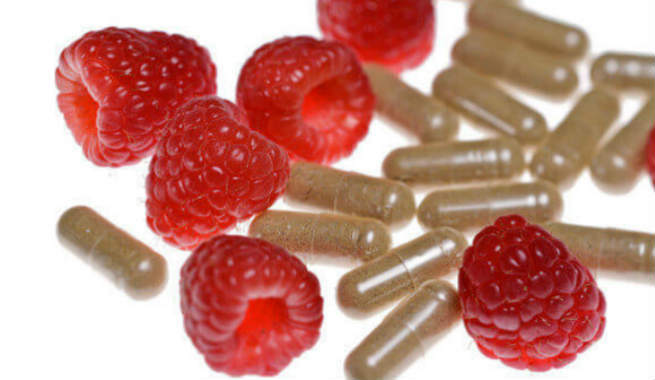 However, the substance used in synthetic supplements is not extracted from real red raspberries. Rather, it is produced industrially to avoid huge expenses. Apart from being used in weight loss supplements, Raspberry ketone is also used in the cosmetic industry to treat hair loss and promote hair growth. Why Raspberry Ketone For Hair? According to a Japanese research, the ketones present in the red raspberry extract can increase hair growth as much as 50% in people suffering from androgenic alopecia or pattern baldness, after a continuous treatment of 5 months. This finding led the researchers to the conclusion that the ketone content of the berry extract is capable of stimulating the hair follicles lying on the scalp, thereby boosting the growth of locks dramatically. It also made them believe that the natural extract of raspberry holds excellent properties of curing baldness as well as preventing its occurrence. Another study focusing on the causes of baldness in men also contributed to the discovery of hair benefits of raspberry ketone. Scientists conducting the study found certain protein named prostaglandin D2 (PGD2), which was believed to be responsible for extreme hair fall as well as baldness in men. The genes analyzed from the bald patches were compared to the genes analyzed from the parts of the scalp where hair is intact. The analytical result revealed that the production of PGD2 was almost three times higher in the bald areas than that in the areas with hair. Further studies also disclosed that the hair follicle density throughout the bald area was remarkably low and it was closely linked to the high level of PGD2. Based on these findings, the development of a reliable remedy for hair growth and restoration was started and raspberry ketone was found to be perfect for it. How Does Raspberry Ketone Work For Hair Growth? As said before, raspberry ketone is chemically quite similar to capsaicin, the component present in hot peppers and gives us the burning sensation while consumed. A lot of studies have already been conducted on capsaicin and it has been found to add to the expression of IGF-1 (an insulin-like growth factor) in the dermal layer (especially in the hair follicles lying on the scalp). This increases the growth of hair, even in bald people. The similar effects were observed in the case of raspberry ketone too. 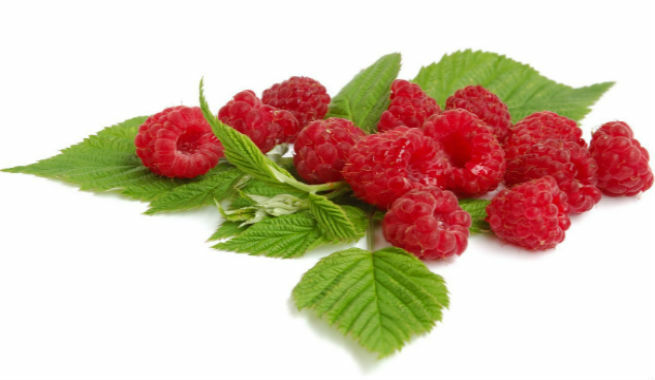 The extract of red raspberry can boost the production of insulin growth factor-1 in our scalp while applied topically. It basically activates our sensory neurons and stimulates them to release calcitonin gene-related peptide (CGRP), which eventually promotes the formation of IGF-1 and leads to hair regrowth. Essentially, these couple of studies is not enough to prove the efficacy of raspberry ketone in curing baldness. More and more researches are needed to come up with every piece of information related to the fact. It should always be kept in mind that scientists are yet to learn the correct dosage, drug interactions, side effects, etc. associated with the usage of raspberry ketone for hair growth. Hence, it is always recommended that you should consult with your physician before taking any decision about the internal or external use of raspberry ketone.